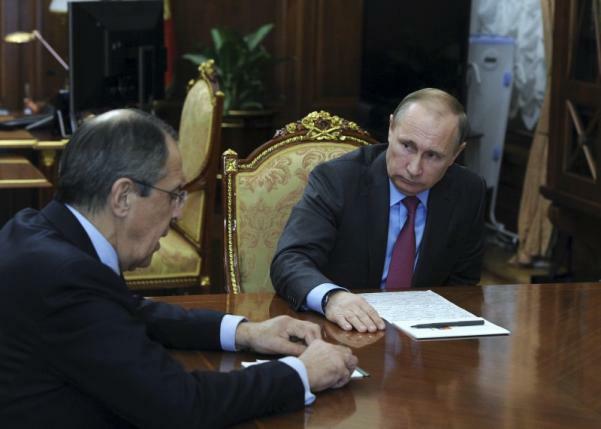 Russian President Vladimir Putin has ordered the majority of his troops out of Syria. This comes as a surprise to everyone. A slew of questions erupted around this decision, wondering what Putin has achieved with Russia's intervention that started in September, which was denied at first, then admitted as a fact, and then accepted as a fait accompli. Did Russia outfox the West, yet again? Was it predictable? If yes, why was it not predicted? What were the gains and losses for Russia and for the West? And the most important question, what does this sudden move signal, and what can we expect moving forward? So, what did Russia achieve? It's not very baffling to understand Russia if one carefully remembers the patterns emerging with Russian state behavior since the 2007 Munich security conference, the year that might have marked the return of Russia as a great power. A great many things happened that year, with the start of the Russian long range bomber flights across the Atlantic, as well as submarines trailing Western navies, a Cold war era practice, a crippling "unidentified" cyber-attack on Estonia and a culmination in Putin's denouncing of the Western liberal interventionist regime and "American uncontrolled hyperpower" in the Munich conference speech. Ironically, in the following year, Russia carried out its first intervention outside Russian borders in Georgia. Since then, it has been a periodic ebb and flow with Putin escalating somewhere, and backing down somewhere else. Crimea, Ukraine and Syria all follow the pattern. Now, one needs to understand Russian goals and motivations to understand whether this limited intervention was a success or failure, and also whether or not the West has been proverbially "outfoxed." The Russian president had a quirky client with Bashar Assad. Contrary to popular opinion, evidence suggests there is a big difference in the way Assad sees the Syrian war when compared to the way that Putin sees it. For Assad, this conflict is civilizational, ethno-sectarian, and survivalist. If Assad loses, he might suffer the same fate as Gaddafi, and his people, the Shiite Alawites, might be massacred. The main goal of Assad was to stabilize the regime in a safe corner, and make the conflict one between good and evil. Russian goals were different and multiple. In recent years, Russia's policies have endangered its legitimacy as an international power. However, Putin may have turned the tide in Syria.